The Gokhale Institute of Public Affairs (GIPA) is an independent, non-party and non communal organization endeavouring to serve as a center for the education of the public for democratic citizenship. It seeks to Co-operate with, and seeks Co-operation from the Government and all public institutions in the country. 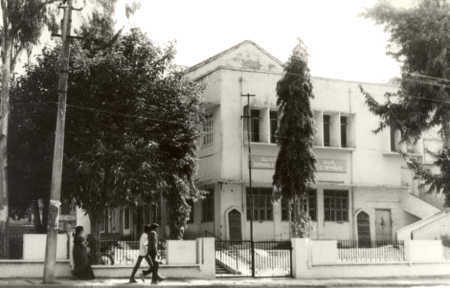 Public Affairs, Monthly Journal of the Gokhale Institute of Public Affairs was started in the year 1949 with the objective of promoting education for and in the conscientious practice of democratic citizenship. Click Here to download the series of talks on “The Foundations of Indian Culture” delivered by Shatavadhani Dr. R. Ganesh, organized at GIPA in August-September 2011 (20th, 21st, 27th, 28th August and 3rd and 4th September). ಡಿ.ವಿ. ಗುಂಡಪ್ಪರವರ ಎಲ್ಲ ಪುಸ್ತಕಗಳು ಇ-ಬುಕ್ಸ್ ಆಗಿ ಗೂಗಲ್ ಪ್ಲೇ ಬುಕ್ಸ್‌ನಲ್ಲಿ ಲಭ್ಯವಿದೆ.